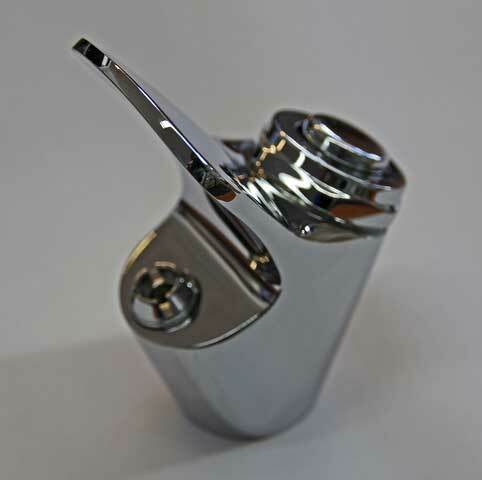 A chrome plated Bubbler Tap suitable for use with SDS Drinking Fountains and many others. 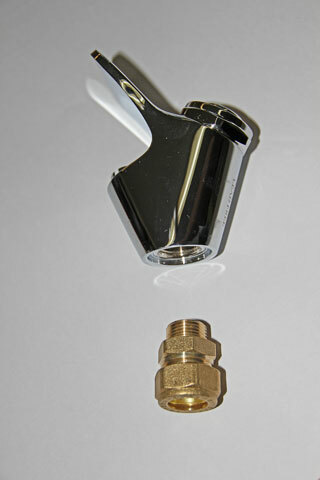 Included is a brass connector which has a 3/8" BSP male thread on one end to match the female thread on the Bubbler and a 15mm compression fitting on the other end. 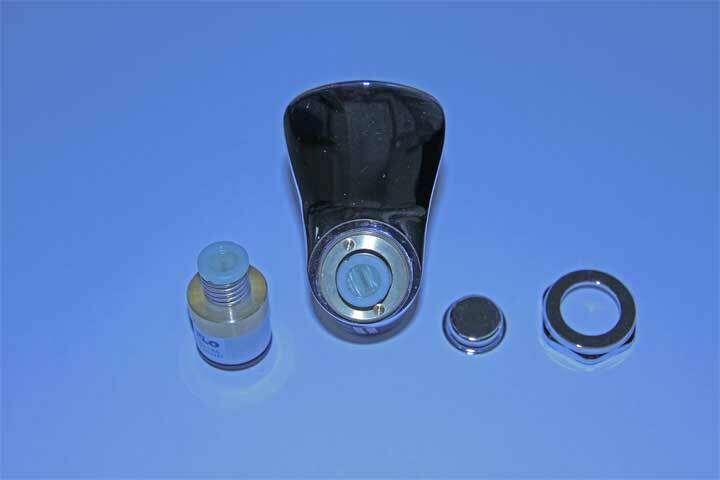 An 18mm hole is required to fit the Bubbler, please note that the connector is only suitable for use in thin materials such as Stainless Steel, the thread is too short for use on a ceramic Drinking Fountain. 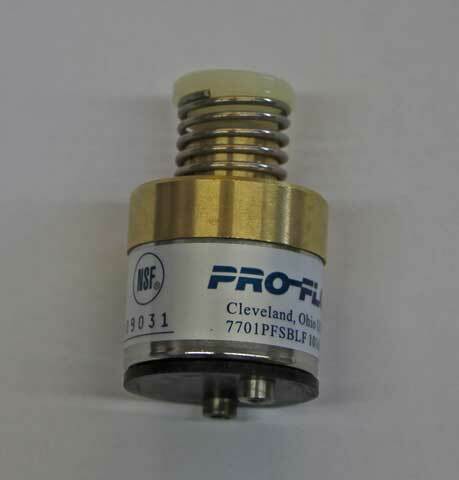 Inside the Bubbler is a Solenoid type cartridge which can be replaced if the Bubbler stops working due to frost damage or contamination. Once the Bubbler has been isolated remove the large chrome nut and operating button, then the brass retaining ring underneath (the brass retaining ring has two holes as shown in the bubbler assembly photo below and is removed by using circlip pliers or similar). The cartridge can then be pulled out by gripping it's spring. Prices exclude vat, packing and carriage to the UK Mainland on these items is £5.00 + vat for orders up to £250.00 + vat.